Very nice concept. I love the color. 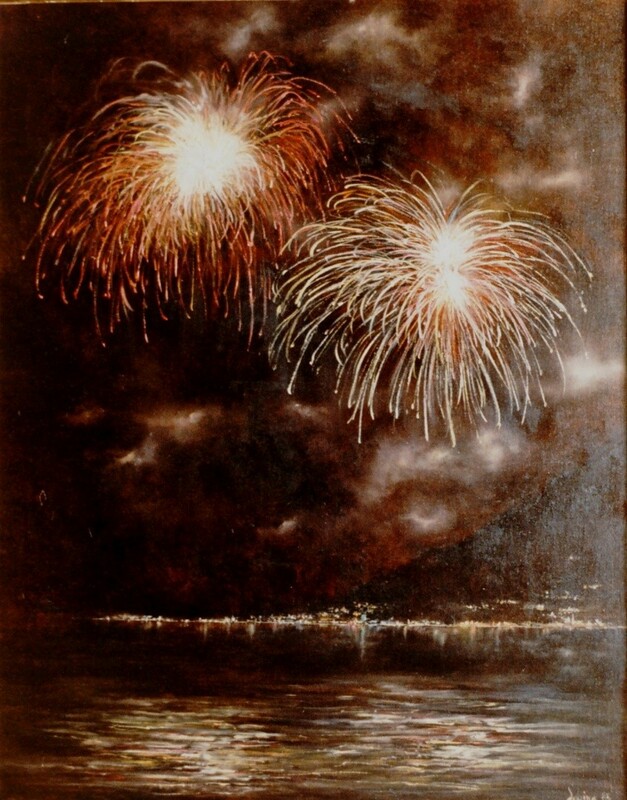 I have a acquaintance who did a paint of being up in the air at the fire works level looking down on a board walk. Nice work.